Despite their thirtieth anniversary being two years away, John Tutt, owner and operator of local establishment Princess Cinema and Princess Twin, already knows exactly how they are going to celebrate. “What we like to do on our big anniversaries, like when you turn thirty … we polish off the old classic that we opened the theatre with, Casablanca. So on our opening day, September 18, 1985, we showed Humphrey Bogart in Casablanca. That’s what we’ll do for our next anniversary,” reminisced Tutt. 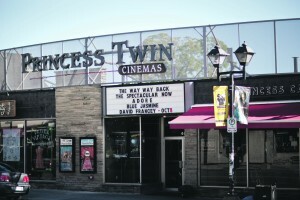 Since opening its doors in 1985, Princess Cinema has slowly become an important landmark in Kitchener-Waterloo. What first began as a one-screen theatre in a building on Princess Street, where the cinema received some of the inspiration for its name, has expanded into a three-screen powerhouse. “Back in 1985, K-W did not have any type of independent cinema, screening specialty cinema … London had one, Kingston had one and it was a market that was completely untapped,” explained Tutt. After graduating with a bachelor of business administration (BBA) degree, and having taken as many film studies classes as he could fit, Tutt turned his focus to a local scope. While there were screenings sporadically throughout K-W, most notably in Arts 1E1 at Laurier, the humanities theatre at University of Waterloo and the K-W Art Gallery, but Tutt noted there was never a consistent spot to catch an independent or quirky film. The name Princess Cinema was easy to find, Tutt only had to look at the street name on which his new cinema was located to find inspiration. Though as he thought about it more, Princess just seemed to make sense. The building that the Princess Cinema currently occupies has been around since the 1870’s in various incarnations. 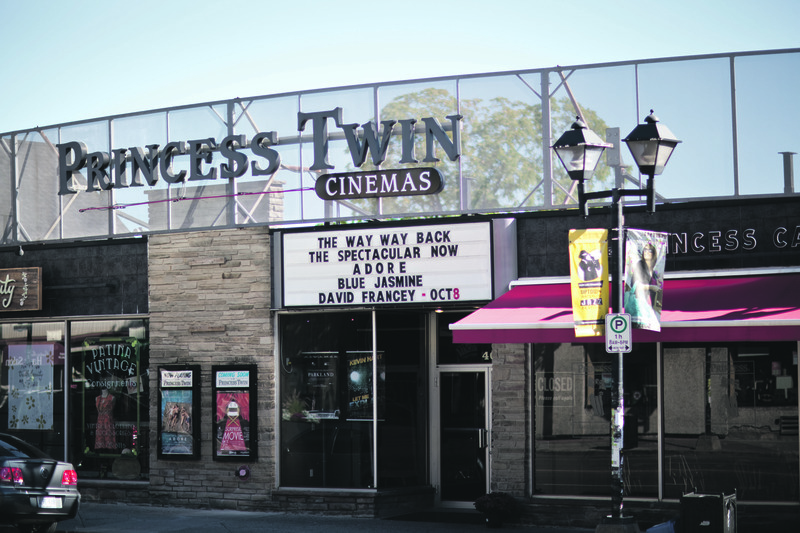 What seems to confuse patrons the most, especially newcomers, seems to be the difference between Princess Cinemas, aptly located on Princess Street, and Princess Twin, the more noticeable one on King Street. When one refers to going to Princess, they usually mean they’re going to Princess Twin. The Twin is where you would typically go to catch a newer release. Tutt describes the programming at Princess Twin as “move-overs from a Galaxy” and more main stream, higher-budgeted indie films such as Juno. If more specialized offers, documentaries and [movie] series are more your scene, then Princess Cinema is where you would want to go. The idea of two similarly named cinemas can be confusing, but Tutt didn’t expect it to turn out like this. “What made us expand was there were so many films we weren’t able to play at our small single screen over at the original … so we put our bigger, longer-running movies over at the Twin,” he explained. If you want more Princess, check out their website www.princesscinemas.com to purchase membership cards and upcoming events.